Nurogames, the publisher of app-hits like “Bibi’s Stardust Chase“ and “Fast Fin” has announced that “Zombie Wars – Empires of the Undead” will be available as of March 14th. man who mutates during the game into a flesh-eating monster. As a mutant, whose brain has remained spared from the virus the player organizes an army of mutant zombies. 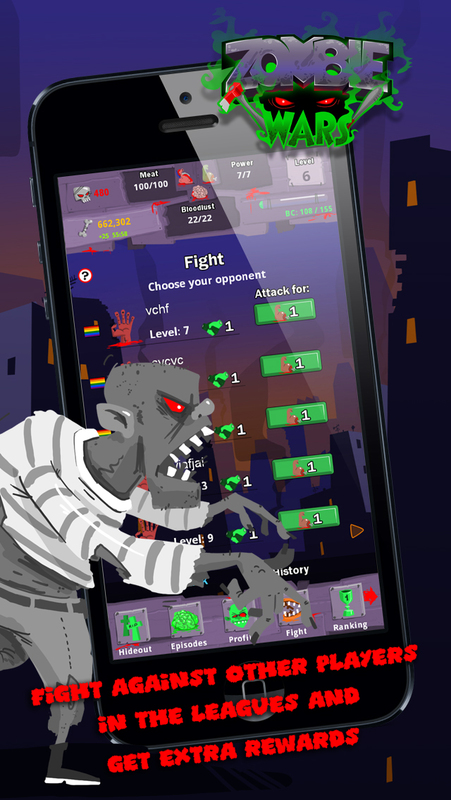 Players can challenge other zombies online and compete in gang-fights in order to increase the chance of victory against enemy mutants. The game has been optimized for high-resolution Retina- and HD display and can be downloaded for free from the Apple App Store and the Google Play Store. To ensure more and more fun, free updates with new features are coming on a regular basis.